Quilt Kit for "Life Is A Patchwork" Sampler Quilt, according to the pattern by Norma Whaley for Timeless Traditions; and fabric kit put together by us here at Cottage Threads. 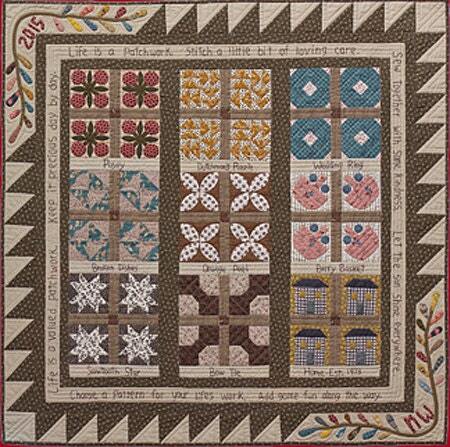 This is a whimsical sampler quilt for hanging on the wall or topping a table. 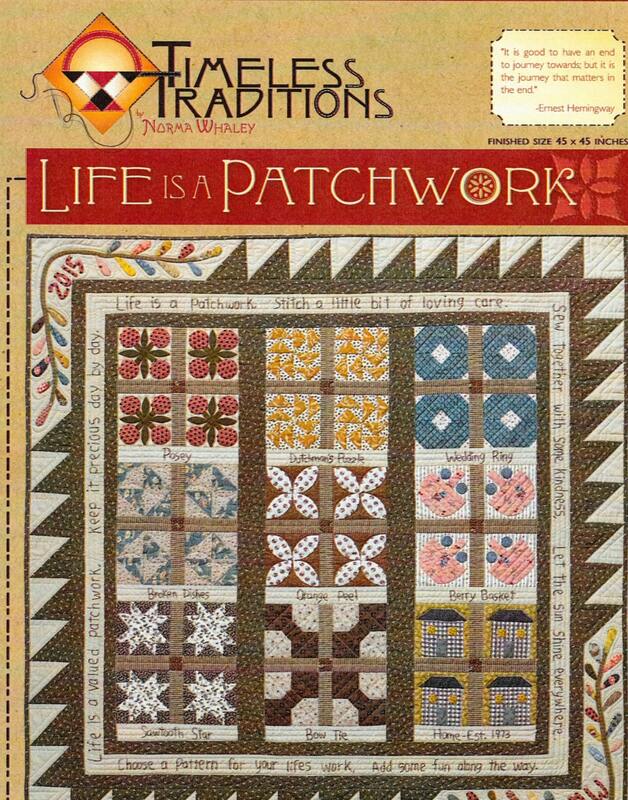 Nine different classic block patterns, small applique vines, and a delightful verse embroidered around the inner border create a rustic and cheerful finished quilt. 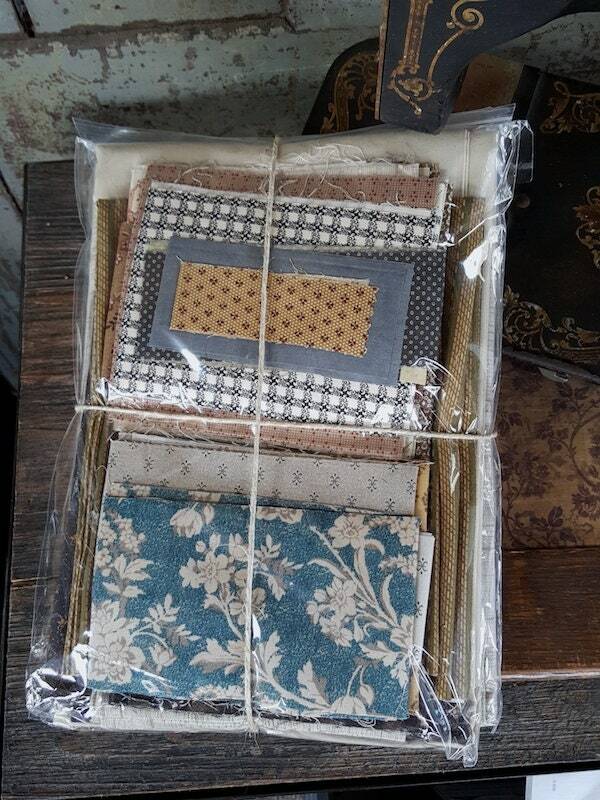 This kit includes the Pattern and all the Fabrics you need for the quilt. All fabrics are hand selected by Cottage Threads to produce a beautiful quilt in similar tones as the original design shows. Patchwork Sampler Quilt finished size is 45" x 45". Pattern is New Unread Copy from our Shop. Quilt Kits are Not Returnable.